One of the highlights of this year’s Japan Week was the TAKUMI JAPAN booth. Backed by the Central Federation of Societies of Commerce and Industry, Japan (CFSCIJ), TAKUMI JAPAN is a project that provides exposure to micro-, small-, and medium-sized business in Japan. 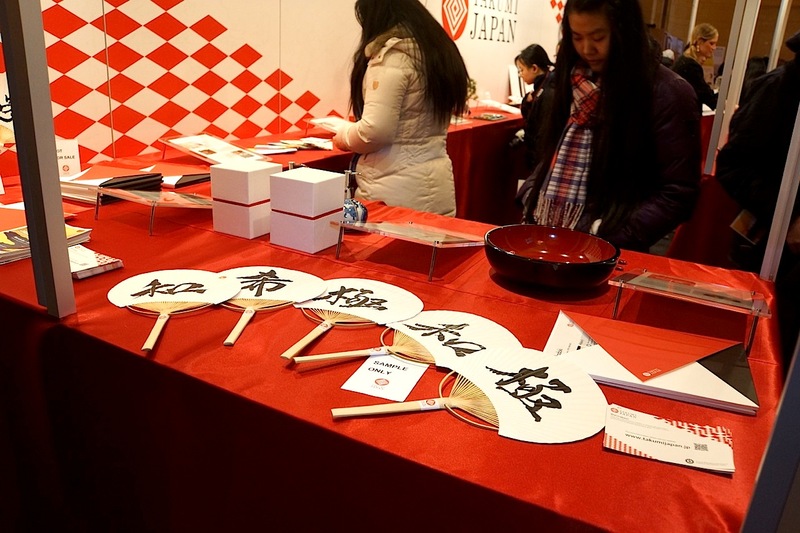 Japan Week in New York was the project’s last stop on an international tour that took them to trade shows in Germany, France, and the United Kingdom. Takumi is a Japanese term describing artisans and craftsmen who have skilled techniques, and it is in this spirit that TAKUMI JAPAN operates. Through the guidance of CFSCIJ, the TAKUMI JAPAN project brought the works of more than 15 regional businesses to New York, giving them an introduction into the world market that they otherwise would not have had. The current trend in Japan is to keep traditional techniques alive while adding modern touches. 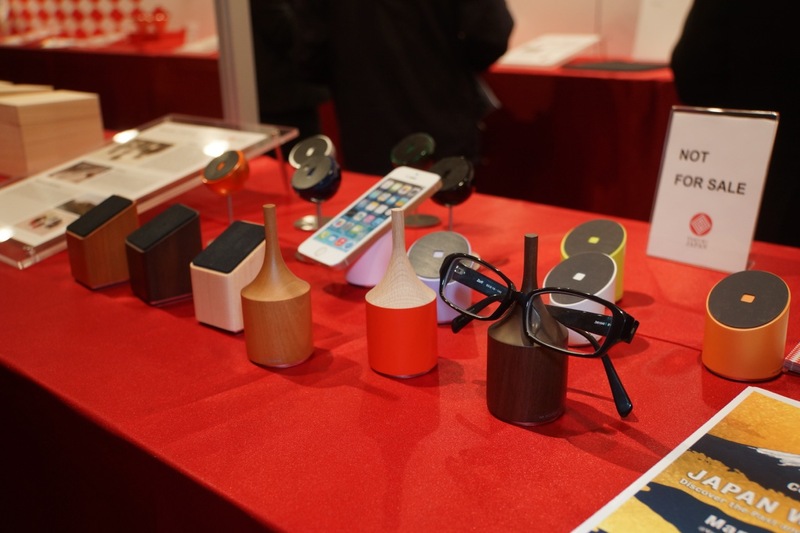 This concept is evident in the products on display at TAKUMI JAPAN, which ranged from traditional (tenugui and lacquerware) to practical (coffee cups, sake and wine glasses, and make-up brushes) to technological (computer bags and wooden computer keyboards) to a blend of all three (iPhone 5 cases with iconic art done in traditional lacquer and maki-e techniques, which were also part of a four-day exhibition at Japan Society in February). 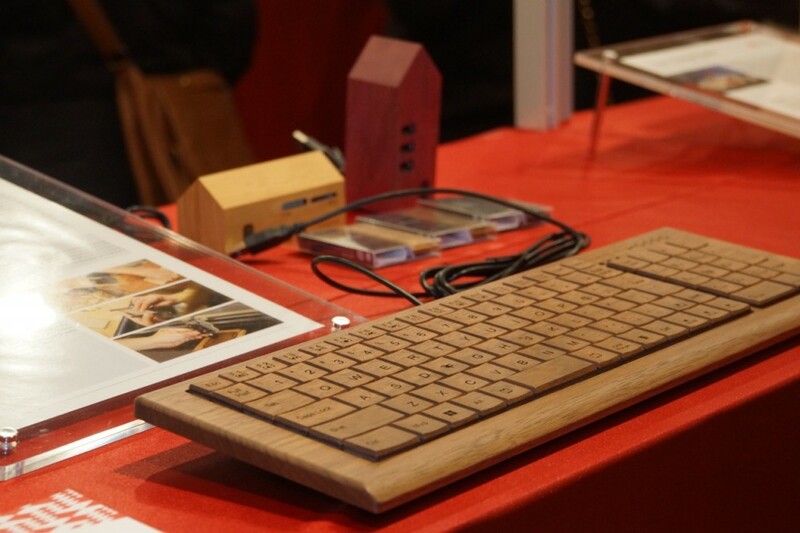 Tatsuo Kawakami, General Manager of the International Business Promotion Department, Consulting and International Business Division of Mitsubishi UFJ Research and Consulting, says the wooden computer keyboard by Yamaguchi Craft Ltd. was among the most popular products on display at Japan Week. Although these items were not for sale at Japan Week, they generated a great deal of interest from New Yorkers and tourists walking through Grand Central Terminal. Visitors recognized the attention to detail and fine craftsmanship that are the benchmark of Japanese artisans. TAKUMI JAPAN officials estimate three thousand visitors entered their booth on the first day of Japan Week alone. 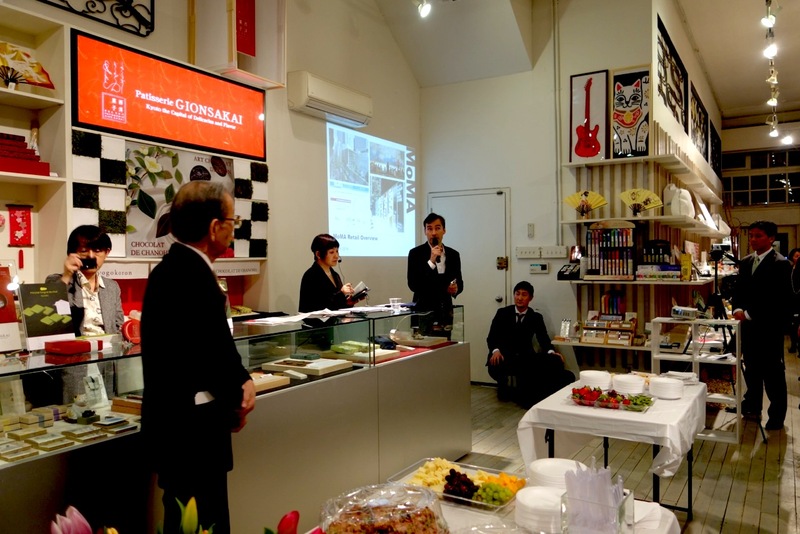 At a reception held on March 7 at Japanese store Kiteya in SoHo, CFSCIJ Chairman Yoshifumi Ishizawa stressed the importance of nurturing small business in Japan. TAKUMI JAPAN’s presence in New York was an opportunity to connect with major companies, namely the Museum of Modern Art. Emmanuel Plat, The MoMA Design Store’s Director of Merchandising, spoke about how vital Japan is to the museum and its stores. MoMA’s first retail store outside of the US is in Omotesando, one of Tokyo’s trendiest upscale shopping districts. According to Plat, of the ten thousand products – including books – in inventory across MoMA stores, the most are from Japan. An Issey Miyake design graced the cover of MoMA’s catalogue, which is received by more than two million people worldwide. Naoki Yoshimoto’s Cube and the Riki Stool by Riki Watanabe are included in Emmanuel’s Gift Guide, recommendations by Plat himself. Plat says Japanese products are popular with MoMA because they meet a wide set of criteria. Before an item is selected for The MoMA Design Store, Plat asks several questions, including: What are the form and function of the product? Is it classic, inventive, educational, and unexpected? Is it locally produced? Is it an original solution for an old problem? You can answer, “Yes!” to these questions when considering the TAKUMI JAPAN products on display at Japan Week. While Plat wouldn’t name any specific items, he said he “picked up a lot of brochures” about the companies supported by the TAKUMI JAPAN project. Maybe in the near future, we’ll type on wooden computer keyboards and purchase Mimatsu Craft Ltd.’s Glasses Places and Mobile Catchers and EAtoCO Nabe by Yoshikawa Corporation on The MoMA Design Store’s website.